I want to calculate the area of regions covered by red color and regions covered by blue color. I tried maximum likelihood classification using ArcMAP. I gave training sites from blue-colored regions as class 1 and training sites from red-colored regions as class 2 and training sites from white-colored regions as class 3. The classification output looks like below.. The output has only 2 classes white and (red and blue) combined. Though i gave different training sites for blue and red, the classifier combined red and blue. Why is that? Is there anyother way to solve this issue? 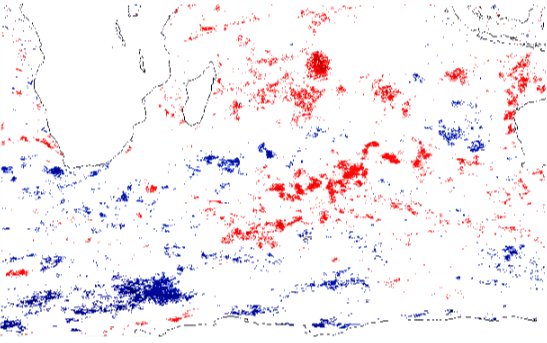 But surprisingly "Class probability" of ArcGIS gave the output of only blue colored regions. 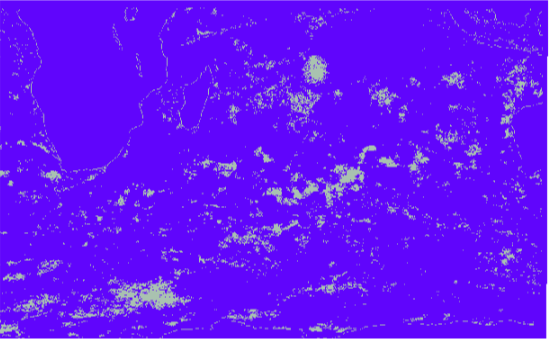 So I calculated the total regions from maximum likelihood and blue colored regions from class probability. I just had to subtract both to get red colored regions. # of <red/blue/white> pixels * pixel with * pixel height. Not the answer you're looking for? Browse other questions tagged arcgis-desktop classification or ask your own question.